The Hardin County Family YMCA, located in Kenton, OH, is in the installation phase of the dehumidification units purchased for the pool renovation project and we need your help to raise funds in order to finish this portion of the project! Your support in purchasing a ticket in this raffle would mean that you're helping thousands of members and visitors enjoy a fully operational pool and facility. The dehumidification units to be installed will help circulate and refresh the humid air throughout the pool area and rest of the YMCA facility. We've made tremendous strides in renovating and reopening the pool since it was originally shutdown in late March 2018. In just 6 months, the pool was reopened following work to the interior ceiling, sprinkler systems, pool floor, surrounding walls, and other vital pool systems. The pool was able to be opened in early October 2018 for members, guests, swim team participants and more to enjoy and participate in many events. We are in need of your support to finish this phase of the project and we thank you in advance for your participation in this vital project which will allow the Hardin County Family YMCA to continue to support the residents and guests of Hardin County. The Grand Prize for the raffle is one (1) Peloton Bike (retail $1,995) with associated standard delivery charges (up to $250 US) and one year subscription for digital content on the bike and mobile app ($39/month or $468 annually). Additional extended warranty options and accessories will be the responsibility of the winning participant. Once the winner is drawn, coordination between the winning party and raffle coordinator will take place to contact Peloton to purchase the bike, provide delivery information and subscription details. In home, standard delivery is included to ensure setup, proper bike fit, and basic setup information per Peloton recommendation. Committee members and their immediate family (spouse & children) not eligible to win Grand Prize. The raffle is sponsored by Quest Federal Credit Union, headquartered in Kenton, OH. Quest Federal Credit Union has graciously underwritten the grand prize offered through this raffle. 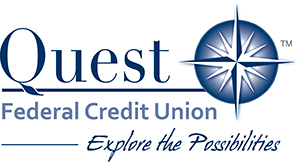 The YMCA Pool Project thanks Quest Federal Credit Union for their continued support of the Hardin County Family YMCA.